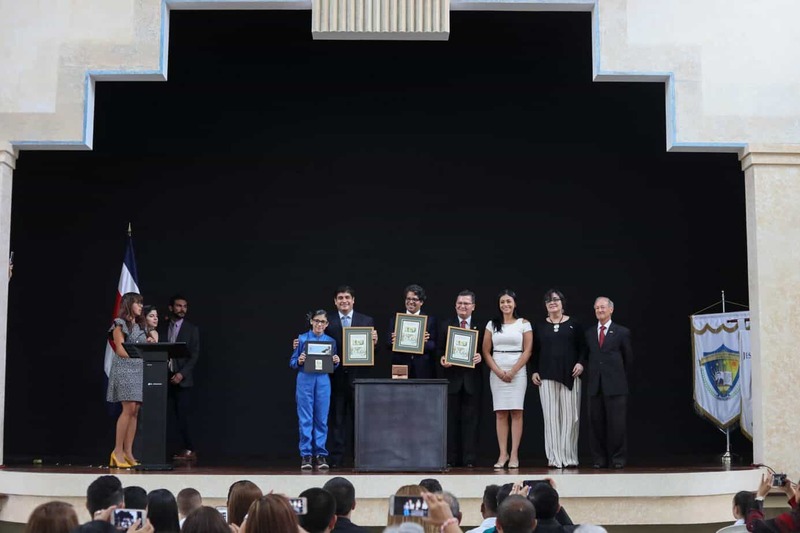 Rándall Quirós,Minister of Public Works and Transport (MOPT) under former President Abel Pacheco, last week inaugurated one of two pedestrian bridges being constructed over the General Cañas Highway, which runs from San José to the province of Alajuela, even though it was unfinished, said MOPT spokesman Omar Segura. “The structure was almost 90% finished, and the outgoing minister wanted to leave office having inaugurated it,” said Segura, adding that the structure should be completed within two weeks. The bridge, located near Mall Cariari, was inaugurated on Quirós’ last workday,May 5, and is one of eight pedestrian bridges over Central Valley highways for which Pacheco’s administration left construction contracts ready, according to Segura. The other bridges, on which construction is expected to begin in June, will include three over the Florencio del Castillo Highway, from San José to the eastern province of Cartago, and two over the Próspero Fernández Highway, which runs past Multiplaza Mall in the western suburb of Escazú, west of San José, said a statement from MOPT. The other bridge, over General Cañas, the highway where the daily Al Día reported 10 pedestrians have died in the past two years, is under construction in front of Residencial Los Arcos in Cariari. Engineers are unsure when it might be completed, Segura said. Construction of these bridges, the only two that have been started, comes after approximately five years of planning and a ruling by the Constitutional Chamber of the Supreme Court (Sala IV) in October 2003, that ordered their immediate construction (TT, Nov. 21, 2003; July 2, 2004).